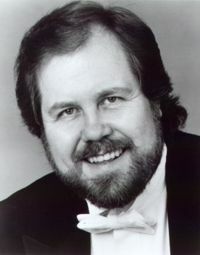 The American born basso-profundo, Daniel Lewis Williams, is one of the world's most admired and sought after interpreters of the German and Italian repertoires. Williams grew up in Billings, Montana where he was a well known boy soprano and performed throughout the intermountain west. Later he went on to sing the lead roles in many musicals winning at the age of 16 the Kiwanis Club International Talent contest in New York City for his rendition of Ol' Man River. The basso received his B.A. degree from the University of Utah in Speech and Theater. 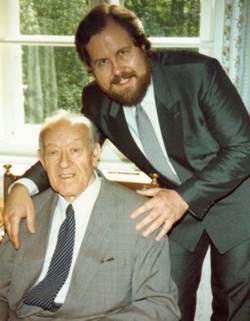 He then was accepted at the University of Munich as a vocal major and studied with Professor Raimund Grumbach and Professor Ernst Haefliger, taking advanced studies with Kammersänger Kurt Böhme and Professor Kurt Moll. Williams first operatic engagement was as serious bass at the city Opera House of Trier, Germany. He then went on to engagements as serious bass of the opera houses of Kiel and Krefeld, Germany. 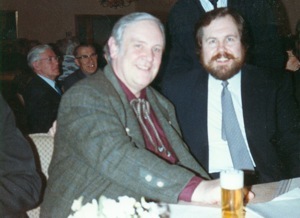 In 1989 Williams was engaged as serious bass at the German Opera on the Rhein in Düsseldorf, Germany. The basso attracted the attention of many major opera houses and his repertoire and profile increased by many prestigious debuts internationally as Gremin, Sarastro, Sparafucile, Daland, Pater Barre, Rocco, Landgraf, Kezal, Basilio, Dossifej, Hunding, Fafner, Eeremit, Osmin, Fillippo, King Marke, Commendatore, Sir Morosus, and Ochs von Lerchenau which role the artist has now sung in twenty-two new productions internationally of the beloved Strauss opera DER ROSENKAVALIER. The true basso-profundo voice is a rarity in the operatic world. Upon hearing Williams as Sarastro the operatic critic Wolfgang Valerius wrote in his critique: In the Sarastro aria, "In Diesen Heiligen Hallen," from Mozart's ZAUBERFLÖTE, Daniel Lewis Williams demonstrates intensely his enormous vocal power. His voice is truly full-bodied and sonorous and in contrast to many other colleagues this voice does not become cloudy or "gravel-out" even in the extreme depths of its range but remains clearly defined and powerful in tone. Throughout its entire range Williams' voice has a solid centered quality that gives it a wide, room-filling, vibrant strength without losing in any way its beauty of tone. In fact, in addition to his technical capabilities, Williams distinguishes himself with an unbelievably strong power of emotional expression which gives him the ability to portray every character excellently. Williams has sung at the world's major opera houses and Festivals including among others: John F. Kennedy Center for the Performing Arts, Semper-Oper, Dresden, Teatro Carlo Felice, Genua, Italy, Opera de Nice, France Opera de Marseilles, France, Opera Cologne, Staatstheater Hamburg, Staatstheater Hannover, Saito Kinen Festival, Matsumoto, Japan, Spoleto Festival USA, Opera Costa Mesa, California, Prinzregenten-Theater Munich, Oper Frankfurt, Oper Leipzig, Deutsche Oper Berlin, Teatro Massimo, Palermo, Italy, Opera di Roma, Italy, Opera Trieste, Italy, Teatro la Fenice di Venezia, Italy, etc. Daniel Lewis Williams is also much in demand as a concert artist singing the bass solos of the concert repertoire of Beethoven, Verdi, Mozart, Dvorak, Schostakowitsch, Schubert, Schumann, Löwe, and Strawinsky.